Life happens. You never know when you might need to show an eLearning portfolio. If you don’t have one yet, this episode will demonstrate how valuable a portfolio can be. If you’ve been resisting, listen to get inspired with ideas. And if you already have one, Mike Taylor’s insights will prepare you to refine your current version. Mike Taylor works, speaks, facilitates and writes at the intersection of learning, design, technology and social media. He works at Mindset Digital, where he develops videos and online courses to educate learners on social media and online best practices. Mike is big on sharing and he’s the first person I thought of when I was creating the ideas for this episode. He has made presentations about eLearning portfolios and has a great curated site on the topic too. See Resources below for links. TRANSCRIPT : Download the ELC 051 Transcript in PDF format or see the full text below. Welcome to The eLearning Coach Podcast online, at theelearningcoach.com. 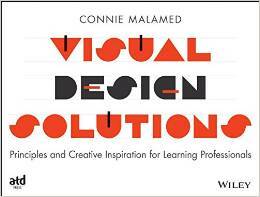 I’m Connie Malamed, bringing you ideas, tips, and best practices for success in creating effective learning experiences. Hello, learning people. Welcome to Episode 51. I hope things are going well in your corner of the universe. I want to ask you a question, do you have a portfolio of your work that you feel good about? If you don’t have one, or if you’re wondering how to make yours stand out, then you’re going to love this conversation with Mike Taylor. He has great ideas for how to make an eLearning and work portfolio that meets your individual purpose and goals. And if you’re concerned about the technical aspect, Mike has lots of options for a low-tech approach. Mike Taylor work, speaks, facilitates, and writes at the intersection of learning, design, technology and social media. He works at Mindset Digital, where he develops videos and online courses to educate learners on social media and online best practices. Mike is big on sharing, and he’s the first person I thought of when I was creating the ideas for this episode. Because he’s made presentations about eLearning portfolios and has a great curated site on the topic too. You can find the show notes and lots of resource links at theelearningcoach.com forward/podcasts/51. Here’s our conversation. Connie: Hi, Mike. Welcome to The eLearning Coach Podcast. Mike: Good morning. Thanks for having me on. Connie: Today, we’re going to talk about eLearning portfolios. I know you’ve spoken about them and you have curated website about them. So, let’s just start with the very basic question, what is the purpose of an eLearning portfolio, why should someone have one? Mike: Well, I think for everyone, it’s probably a bit personal. For me, my wife had been laid off, I was within a day of losing my job the same way, and to not have that not be prepared when something unexpected like that happens, it just scares me. And so, I also have seen when people are applying for jobs, anybody can create a resume and say that they can do certain things. But if you can actually have examples and show what you can do, I think you have a huge advantage. Connie: So, you’re saying that in terms of a goal, you can have a portfolio for different reasons? Mike: Yeah. Well, so the first obvious, I think, distinction is, am I job hunting? Or if I’m, say a contractor, or am I looking for a client? So, those are probably the two big reasons. But then within those, so maybe I need a portfolio so I can get some more speaking opportunities, or maybe take my career in a new direction. So, there’s lots of different angles that people might have just based on what they’re trying to do. Connie: What kinds of materials to people put into portfolios, what have you seen, and what do you suggest? Mike: Well, I think in a nutshell, it’s how do you showcase the best of your work and what you can do? I’ve seen the obvious things, examples of courses. I’ve seen some really nice examples of people doing videos where they’re talking about a project. People write up case studies, here’s the problem I faced, here’s the solution, or here’s what didn’t work and here’s why. And here’s how we got to the end result. So, there’s a lot of options. I don’t have to have all this visually dynamic graphic content to be able to put something together. Connie: Right. I really like all those ideas. Mike: I love people who do videos, especially if you’re looking for clients or a job, like the person on the other end to give them a sense of your personality. I think that’s just such a huge thing. And particularly, you can come across as likable and all of those things, and you just can’t do that with a resume. Connie: That is so true. Resumes almost seem outdated because they’re so flat and we are so used to being bombarded with multimedia. Mike: Yeah, exactly. I always tell people, “Well, anybody can write a resume and say that they’re great. But then if you can go that one step further and sort of show the evidence, it’s really a huge advantage.” And the percentage of people who actually have portfolios, I think, is still relatively small compared to people just sending in resumes. So, it really does give you a big leg up on your competition. Connie: So true. Let’s take a minute and talk about the case study idea. What have you seen, or what do you think could possibly work? Mike: So, this is good for places … The number one thing I hear about reasons people don’t have portfolio, “Oh, all my work is proprietary.” That’s the number one thing. “I can’t show it. I’m not allowed.” Well, okay, well, you can talk about it. You don’t have to give up the company secrets to say, “This is the challenge that we face.” And it’s again, telling a story, right? Much better than a bunch of bullet points on a resume. So, here’s the challenge we face and here’s the constraints. These are things we tried, creative solutions, so we landed here. That whole concept of working out loud, I think falls into this area really nicely. Connie: That is a good approach. What else do you recommend for people who feel that their proprietary work that they do is an obstacle? Mike: Well, a couple of things. Number one, just ask. Ask for permission. Maybe they’ll say yes, it’s okay, right? I think a lot of people just work under the assumption. Everybody thinks their stuff is like super-secret and top secret in the world. And then to my experience, it’s usually not. There are places obviously that’s a valid concern, but first of all, I would just say, just ask. And maybe if they don’t say, “Oh, you can’t show this section or these slides,” maybe you will get part of those that you can pull bits out. Nobody says it has to be an entire course to get a sense of your work. So, that’s one thing, is ask. Or the other thing is just do other work, right? For example, for eLearning, do some of the articulate weekly challenges. Volunteer for a local charity organization or something like that. Just do different work. You’ll still apply the same skills that you’re using in your organization, but now I can show it and I have this shareable work product. Connie: Mm-hmm (affirmative). Those are good ideas. And another thing I’ll tell people is take what you’ve already done. And if the content is in the public domain, then just simply make it look non-proprietary. Take off the logo, take out anything that could be confidential, change the colors. The main point is that you were making something engaging and interesting and interactive. So often, what might be in a course is out there in the public domain. Things like cyber security, sexual harassment, active shooter. Mike: Yeah, absolutely. [inaudible] genericize it or clean it, or however you want to call it. Connie: And if the volunteer work thing doesn’t work out for someone, just create your own course from scratch using some information that’s out there. The point is, you want to demonstrate how to be creative, to innovate, and to create effective learning. Mike: Yeah, Wikipedia articles are great for that, right? You could just pick a topic, pull some content, you don’t have to spend a lot of time writing and you can build that. The other thing, which is one of my favorite things to do, is do a makeover, right? If you see something and you think, “Oh, that’s not very good.” Well, do a makeover of it. And then now you have this nice before and after comparison, which I think is even a better way to show what you can do. Connie: Yes, that’s a really great idea. Another question that commonly comes up is how extensive should the portfolio be? I’m pretty sure that hiring managers have no desire to go through an entire course. Mike: Right. Depends on where you’re at. If I’m just starting out, just getting something is a good start. If you’re further along and you have a big volume of things that you could share, being able to sort of tailor that or customize it to your audience. So, maybe I’m trying to get clients for presentation slides, that will be a subset of my portfolio versus online courses. I think if you can … it’s just like learning or marketing or anything else, right? Like you just got to start with who’s your audience, and tailor your message to that audience. Connie: Okay. Now I’m going to get ridiculously specific. 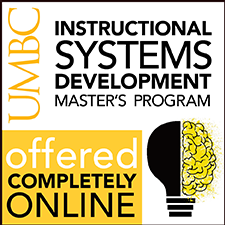 Let’s say someone has created three eLearning courses. How much of each course do you think they should show, if you were making the portfolio for yourself? Mike: Gosh, I think it depends. To me, I think quality is better than quantity. So, if I’ve got three courses, they’re all the same thing with a different color scheme. To me, that’s not three examples. That’s one. So, I think if you can show a variety, like for example, okay, here’s this bullet point slide. The before version. Now here’s my after version, and I have six options of visually designed alternatives to that bullet point slide. So, that’s better to me than having, like I said, three courses with just different colors, because that’s just one example in my mind. Connie: Yeah, that’s a good point. Quality over quantity. Something else that I will recommend is finding a way to show the instructional strategies that you are using. It could be solving a real-world problem in an interactive way. It could be a game framework that allows people to practice, but it’s still motivating. Just something to show that you understand how people learn and what you can do to make learning more effective. Mike: Yeah, I think two other things that helped too is some commentary or some narration around it. So, if I just put a page that just got links to a bunch of courses, but there’s no context to it, right? So, hey, this used to be a 90-minute [Frankin] course that was really painful and cost our company millions of dollars in wasted productivity, which I converted to a 10-minute type effective memorable one. To put some context around that if you don’t have that context, I think you’re missing out on a lot of the value that you’re bringing. And then the other piece is if you have this really nice custom interaction stuff, right? Don’t bury it. Don’t make them search it, put it right up front and center, so it’s an attention getting thing that makes them curious to come and see more. Mike: Yes, totally agree. Joe’s a smart guy. Connie: Yes, he is. Because in their story boards, they can share with our instructional strategies are, what the creativity is like, because quite a few instructional designers are not technical and don’t end up using the multimedia, the authoring tools, et cetera. Connie: In addition, if somebody has been working on design documents and has very good skills at pulling out what is important to improve performance, if they’ve done audience interviews, if they’ve collected data, all of those things are great skills and they should be able to show those in their portfolio, too. Mike: Yes, absolutely. I was just telling some folks the other day, like, a lot of times, share what didn’t work. And people love that because you’re just sharing what you’ve learned. And now you’ve saved them from having to go through the same trials and tribulations. Connie: Nice. Another good idea. Keep them coming. So, I know you have a newsletter and some curated sites with favorite tools. Mike: Yes. So, I do every Friday, which comes out. It’s just kind of a sort of try to find five good things I’ve found during the week around the topics of learning design and technology. And then at the bottom, there’s some random stuff. There’s usually a couple design tools, couple of apps and tools, conferences that are happening, sort of miscellaneous stuff the bottom. And then, gosh, three or four years ago now, when I first did this presentation at technology around portfolios, I put together a page with, okay, here are some sites. Here are some examples. Here some useful articles. And so, I need to add to it because I found some other new really cool stuff. But so, I keep that page as well. Connie: I will definitely link to that page and to the sign up for your newsletter in the show notes. What are some of the old standbys that people have been using to build eLearning portfolios? And then, what are some of the new tools that you’ve been impressed with? Mike: Yeah, absolutely. I think probably, if you have nothing else and you need something in an hour, at a minimum, you can do some of those nameplate sites. So, things like about.me, it’s kind of the landing page. And you can put your name, and you can put you’re on social media, you can add some links. So, if you needed something like super fast, think something like that would be good. Or, most people don’t think of it this way, but LinkedIn is actually a really good place that you can add videos and graphics. You can actually add a lot of visual content to your LinkedIn profile. Because typically, everybody has a LinkedIn page already. And then adding those things is a pretty easy step. There are some really good examples that we can share with you. I’ve got some stuff on my LinkedIn page, when I do a conference presentation or something, I’ll keep a handful of those things there. Again, just to give people a sense of the kind of work that I do the stuff I talked about. It really stands out. So, if you’re browsing through candidates, or you’re trying to find a consultant or something like that and you browse through these just boring incomplete LinkedIn profiles and then they come to yours. And you have a nice header background, and you’ve got some visual content, and your profile is complete, that it really stands out against what all of the other people are doing. And I tell people, I’ve been saying this a lot lately, “You don’t have to do a lot, but just go one step beyond the default.” Add a nice header image or complete your profile with a professional photo and not one with somebody’s arm cut off from a wedding reception, you know that kind of stuff. Connie: The last time you were dressed up. Mike: Exactly. You could use the photo from the wedding. Just go to a nice place by yourself and have somebody take it. Don’t have somebody’s arm cut off around your neck. Connie: That’s really good advice. Oh, man. Mike: So, those are two good places to start. Mike: A couple other ones. I found this site here maybe a couple months ago, it’s called Mural. It’s muralapp.io, and it is really fantastic. It lets you put a link. So, if you have courses or blog posts or whatever, you put a link in there you … you obviously fill it out, add a photo, and you can tag your work. Let’s say for instance that I’m applying for an eLearning job, and I just want to show the parts of my portfolio that relate to that. I can send a link that just shows the things that I’ve tagged with the learning. If I want to show the whole thing, I can send the main link. It is super nice. It pulls in thumbnails and a title. You can obviously edit that and add your own comments. It’s really, really nice. Connie: Is that a free tool, or is there a premium version, or how does that work? Mike: It is a free tool. I’m sure it’s like a lot of things if you want other features. I’ve built one out in 30 minutes that I would share with anybody and be proud of it. Connie: That’s a good recommendation. We’ve got LinkedIn, about.me, Mural. Mike: Yeah. Well, so there’s some sites that are just built as a portfolio platform. Most people are familiar with Behance. They’re meant for design. There’s a couple others called Krop, so K-R-O-P, Carbonmade, there’s a whole slew of these. They’re built for you to make portfolios. Connie: Mm-hmm (affirmative). Another one of these is Dribbble, with three B’s. Connie: But you can’t put HTML5 courses or flash-based courses on those sites, just links, correct? Mike: Links. So, that’s sort of a foundational thing of all of these, because I don’t know that any of these will actually host your content for you. So, you need to put it on 360, that’s an easy one, on Google Cloud, Amazon S3, something like that. It’s got to have a place to live, so you can link to it for all of these. Connie: Okay. That’s an important distinction, right? Connie: In case you’re listening and you don’t understand what we’re talking about from a technical perspective, is that there are two parts to an eLearning portfolio. One is the cloud or servers where the actual files of your portfolio reside, and the other is the front page that links to all of those files. Connie: After you talk a little bit about the platforms for the front page, then let’s talk about where people can host the files. Mike: Yeah, sure. Sure. Then I think if you sort of climb the, I guess you could climb the technological curve, you could get … if you want to get into sort of a full-blown website. So, whatever that looks like. Whether it’s if you’re really technically adept, it could be you just build your own from scratch, or you use Squarespace or Wix, or one of those website building tools. I’m a huge fan of WordPress. So, that’s what my website is on. Yeah, so those are kind of the big buckets of options for portfolio tools. Connie: Okay, thanks for that. Now, I noticed in your list, you mentioned using YouTube for an eLearning portfolio. How would that work? Mike: I found a guy did this interactive YouTube. He’s British, he called it The CV, but it was a video of him, and then that use sort of hotspots in the video to jump to different sections. And it really had similar sections to a printed resume, but it was him talking about it and showing his work. He’s brilliant. Connie: That is really interesting. And YouTube allows you to put hotspots that link to something else, right? Mike: It does. I found it a years ago, I came across it again and shared it, I think, maybe Monday or something again. So, super, super creative. Video is also another way if you don’t have a way to host things on Google Cloud or Amazon S3 or something like that. A storyline outfits to video, right? So, anybody can put something on YouTube or Vimeo or video sites. Sometimes that’s easier, obviously you lose the interactivity piece, but you can still get a good sense of what your courses are like. Connie: That’s pretty cool. Now, let’s talk about where to host the files that go into your portfolio. What are the options? Mike: So, can I come with this as similar way we did to the tool, so it’s sort of ease of use going up. If you’re Articulate tools, you can use TempShare. I don’t know if you’re familiar with TempShare. But Articulate, you create your ZIP file, you drag it onto a page. It will host. It’s only good for, I think, 10 days. But that’s like couldn’t be easy. You drag your ZIP file to a web page, it uploads it, you got 10 days to send the link, because it disappears after 10 days. Connie: Okay. Let’s call that the Desperation Option. Connie: Well, on occasion, those kinds of things do happen. Someone says, “Where’s your portfolio?” You upload it to Temperature, and you’ve got it up there for 10 days. It’s quick. Mike: Exactly, right. So, the other option, which again, if you’re desperate, you have nothing else, you could publish it if you’re on Articulate 360 to their review tool. So, that’s going to give you a link to see it. That’s probably not the greatest, not really clean looking and stuff. But you could do that. Now we go up from there. If you really want sort of true, quote unquote, true online hosting, Amazon S3 and Google Cloud or two really great options. They’re free and they’re easy. Connie: I was not aware that Amazon S3 was free. Mike: There’s a free level. I think it’s, you get so much storage and so much bandwidth. I’ve never gone above that threshold. And even if you do go over it, it’s dirt cheap. It’s like pennies. You’re never going to get $100 bill if you go over, just because it’s so cheap. Connie: Do they charge by bandwidth use or storage? Mike: I think it’s a combination of both. You get a certain amount of storage and a certain amount of bandwidth. Unless you’re a company and you’re having people always continuously looking at your portfolio, if it’s just an individual person like me, I would be surprised that you would go over those free limits. Connie: Good to know. What do you think about using Dropbox? Mike: Well, Dropbox doesn’t work anymore for that. Maybe it does prepaid accounts. I think maybe it does prepaid account. I don’t know. I’m sort of becoming less a fan of Dropbox over time, typically for that. You used to be able to do it at Google Drive, you can’t do that anymore. So now cloud is the Google option for that. You can share Dropbox if you’re sharing slides, or documents, or that sort of stuff. You can do some things in Dropbox. But I think if you really want to get dependable, reliable, I know everybody can see it experience, then I would go for Google Cloud or Amazon S3. Connie: Okay. Great recommendations. Thanks for that. Connie: What kind of common technical issues do people seem to run into? Mike: Surprisingly for people building online courses, there’s some kind of misunderstanding or like, how does this stuff work, just in general. They know in their LMS, they take a ZIP file, and they put it somewhere, and it just magically happens. So, when you step outside of those sort of corporate boundaries sometimes, well, I don’t have a web server and what are my options? Just understanding what options are available. Just understanding that it’s possible and it’s easy and it doesn’t take much time or money to set it up, I think is probably the biggest thing. Just to kind of come in from a sense of, “Well, I’m not a techie, so I couldn’t possibly do this.” And that’s really not true. So, these things, you can follow a few directions. If you can do that, then you can set up your space and use it. Connie: That’s good advice, and it should make people feel comfortable about going for it. Mike: I think it’s a sort of normal thing to be intimidated by that kind of thing. Oh, it’s a web server, and it’s all this stuff. And maybe five or 10 years ago, that was probably the case, but it’s not anymore. Now it’s I can give you some instructions, you could have it set up and putting courses online in 15 or 20 minutes, easily. Connie: Very cool. One thing people may not be thinking about is creating an accessible and friendly user experience for the person who is going to be viewing the portfolio. Can you talk about that? Connie: You don’t want it to look like Craigslist, right? Mike: Exactly. Yeah, exactly. And you want things to be easy to find, you obviously want them to work. If you have more than a handful of items, you probably want to have them organized in some clearly logical way for people to get through them, and all of those things. It’s interesting that it’s a lot of the same factors if you’re building a good course, right? I like to be clear, I wanted it to be engaging, I want it to pull me in with some interesting stuff up front, easy to use, easy to navigate, and a lot of those same principles apply to a portfolio. Connie: Mm-hmm (affirmative). And I think you have to stop and think about, what can you do to promote meaning? Are you going to show things chronologically, or you’re going to arrange them in some other way? Mike: Well, I think chronologically is a natural one. And I think that’s fine. Again, I think it goes back to what’s the message you’re trying to communicate. It could be by type of work. So, it’s graphic design work, it’s instruction design work, it’s writing. So, that could be sort of the topical kind of arrangement. I think it just depends on again, looking at your audience, who are you speaking to, and what message do you want them to give? That’s going to drive a lot of that. When I’m doing that sort of stuff, I always like to give it to my wife. And she’s really great, because she doesn’t really live in this world that we live in and she doesn’t understand lingo and language. So, she has sort of a good outsider’s view and she can tell me, “Oh, what does that mean?” Or, “This doesn’t make sense.” Or, “I’m lost, I can’t find something.” So, that’s always super helpful to me, is to let somebody else who’s not in this world look at it. Connie: Mm-hmm (affirmative). Can you talk a little bit about putting tags in your portfolio and how that works? Mike: So, that’s fantastic. I mentioned the Mural App lets you tag things. WordPress sites let you tag things with categories. So, I’m a huge fan of tagging, where I can have one piece of content, I can tag it with multiple things. And then it can be displayed in different contexts. 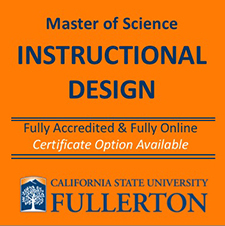 I could have a single item that’s tagged with eLearning instructional design and visual design. I send them to the eLearning stuff that shows up, I send them to the instructional design stuff that shows up there. So, it’s a nice way to organize and categorize your item without having to replicate them. Connie: Yes, that’s a great idea too. To start wrapping things up, what are some of the biggest obstacles that people will need to overcome to be able to create a portfolio? Mike: Well, I think one is just some people have a fear, “Oh, I’m not good enough. I don’t know what to do.” But I think just doing something and getting started is the most important thing. The second piece is don’t wait until you need it to do it. I know people who walked into their job in the morning, “Thank you, your services are no longer needed.” They walk out with a box full of their stuff at lunchtime, and they leave behind access to a lot of their work. I think when you do a project, it should just be a normal part. Just like you report to stakeholders or clients, you take down a few notes, you take some screenshots. If it’s relevant, you take your source files and save a copy of your portfolio somewhere. It should just be a normal part of every project. That way, you’re not inadvertently cut off from access because I know people that’s happened to you. And if you wait until you need it, it’s too late. Connie: Mm-hmm (affirmative). I know some people that that happened to, too. And it’s really sad. They did this great work, and they never pulled it off their hard drive. And then they were laid off and couldn’t get back into it. Mike: Exactly. When I look back on a project from five years ago or last year, I can’t remember why did I do something this way, right? So, I think just take notes at the time when it’s still in your head, because those will not always be there. Connie: Yep, that’s really true. Mike: Those are two big things. And just don’t worry about trying to have the perfect portfolio right off the bat, because it should change over time as your work evolves. Just do something. Start with LinkedIn. Start with one of those nameplate sites. Just get started. And then in the process of doing that, you’ll have, oh, what about this idea? What about this idea? And then you’ll evolve to another place. But just do something and don’t worry about being perfect. Kind of one step beyond the default, and you’re ahead of 80% of the world. Connie: Good advice. Mike, thanks so much for your time. I know you have to hop off and get to work. I really appreciate all of your insights and your great ideas. Mike: Absolutely. It’s my pleasure, and always good to talk to you. Connie: Oh, what nerdy fun it is to talk about portfolios, platforms and hosting sites? I hope you enjoyed this episode, and that you’re inspired to create a work portfolio or to improve your current one. You can find the show notes and lots of resource links at theelearningcoach.com/podcasts/51. 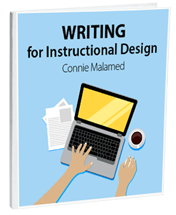 And you can sign up for my newsletter and download a great freebie on writing for instructional design while you’re there, too. That’s all for now. I’ll talk to you next time. Take care. Thank you Mike and Connie!! Like all your podcasts Connie, this is relevant and extremely useful information that anyone in the field can use and apply right now. Thanks so much for your Podcast :-)!! Thanks for your kind words, Linda. It makes all worthwhile!